Hi, my name is Caitlín McCarthy and I have been shooting for 10 years. 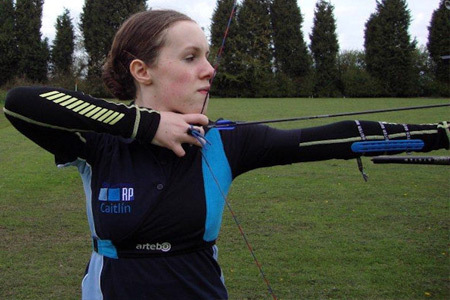 I am currently shooting at my university archery club in Birmingham. Some of my greatest achievements include shooting for Great Britain for the past two years and winning my first international medal in the team round in Moscow last year. I also competed nationally last year in the team round at the National Series Final where our team came second. These experiences last year have made me want to continue with my success in the future and take my archery career further, hopefully all the way to the Olympics.